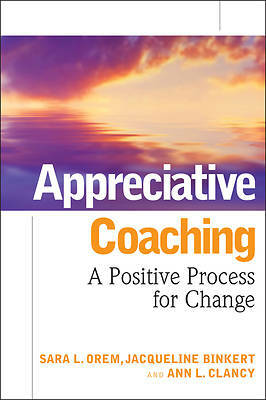 "Appreciative Coaching" describes an approach to coaching that is rooted in Appreciative Inquiry. At its core the Appreciative Coaching method shows individuals how to tap into (or rediscover) their own sense of wonder and excitement about their present life and future possibilities. Rather than focusing on individuals in limited or problem-oriented ways, "Appreciate Coaching" guides clients through four stages--Discovery, Dream, Design, and Destiny--that inspire them to an appreciative and empowering view of themselves and their future.